I’ve already confessed my love for savory, crunchy snacks. 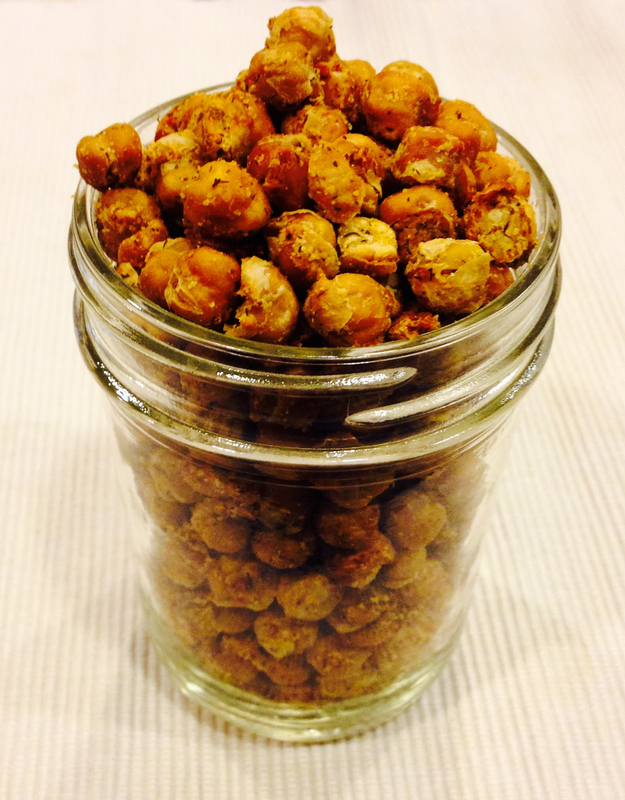 I made these roasted chickpeas tonight and they are so addicting! I wish I would have doubled the recipe. These are a healthy, tasty alternative to corn nuts or Cool Ranch Doritos. I can’t wait to experiment with other sweet and savory flavors on my roasted chickpeas! Drain and rinse garbanzo beans. Place in a medium-sized bowl, and toss with nutritional yeast flakes, olive oil, apple cider vinegar, salt, garlic powder, onion powder, and dried dill. Make sure all beans are coated nicely, then pour onto a baking sheet covered with parchment paper. Bake for 45-60 minutes, until the garbanzo beans are crunchy all the way through. Stir beans every 20 minutes during the cooking process. Enjoy! This recipe adapted from one shared on Vegan Yack Attack. Hi Kelli, I just made the chickpeas and tortilla chips, both are delicious! I tried my first vinegar/honey drink, didn’t taste bad at all, in fact I liked the taste! I’m planning to make the quinoa soup tomorrow. Thanks so much for posting these yummy healthy recipes.